At Crawl Space Solutions of Arkansas, we provide a variety of repair products and techniques -- each designed specifically to take on a different source of leaks in their foundation walls and basement's concrete floors. Water can enter your home at any point where there is an opening in the foundation. This includes not only cracks in the walls and floors, but around pipes as well. Our solutions provide lasting results that will not crumble, flake off your walls, or fail due to the natural expansion and shrinking of the concrete. 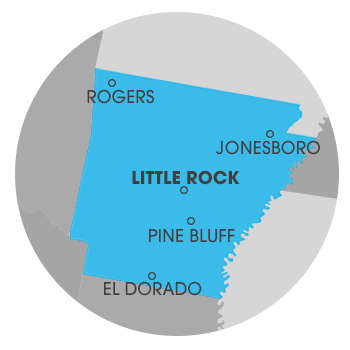 We service Arkansas, including Little Rock, North Little Rock, Benton, Jacksonville as well as Greenbrier, Maumelle, Sherwood, Alexander, Perryville, Bryant, Mabelvale, Hensley and nearby areas. Contact us today for a free wall crack repair quote!